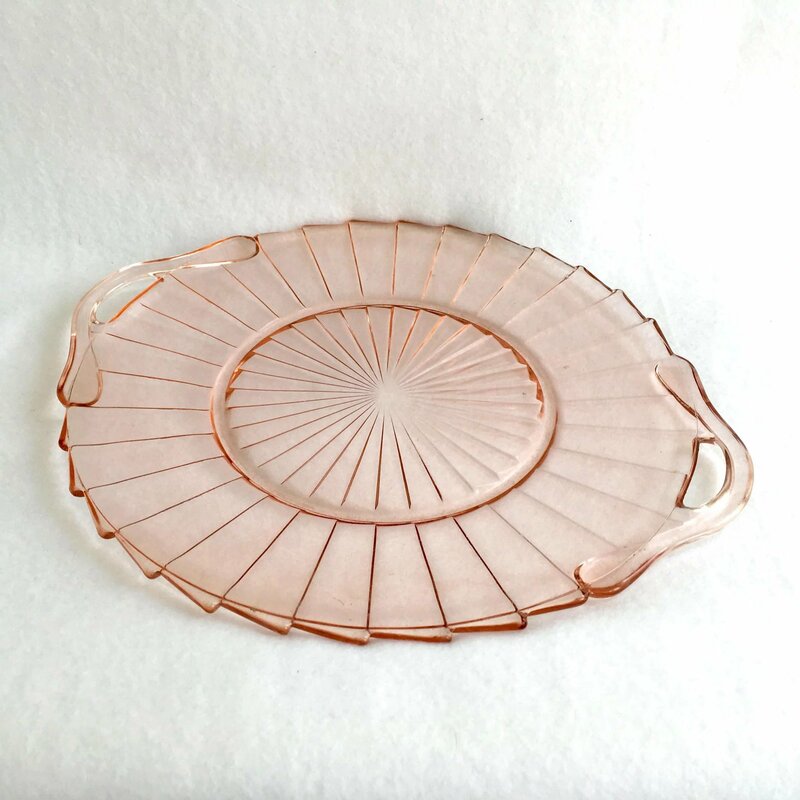 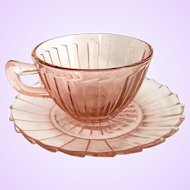 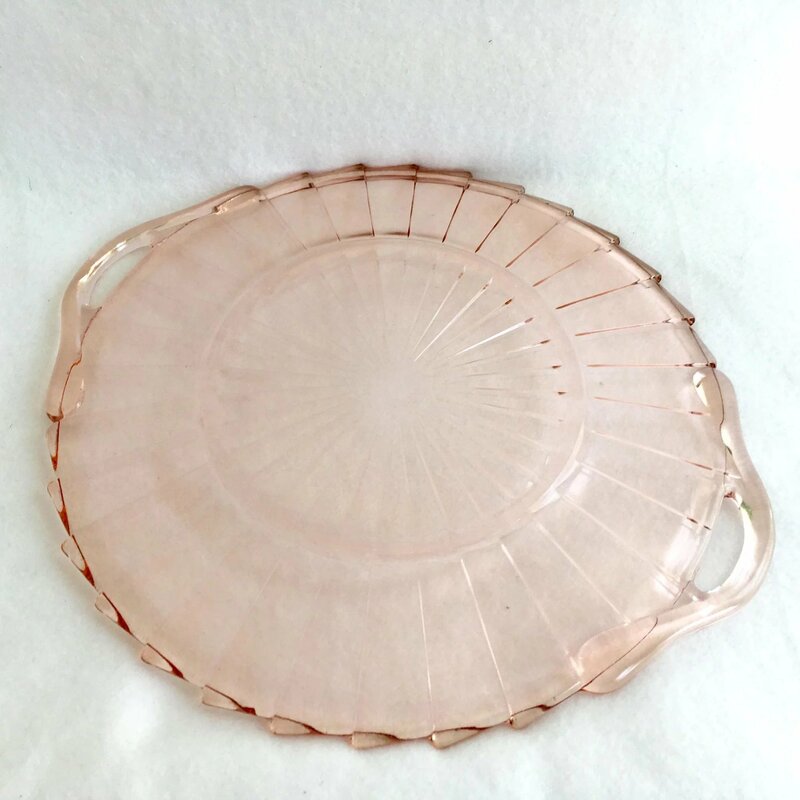 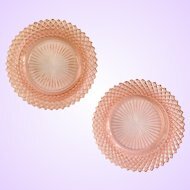 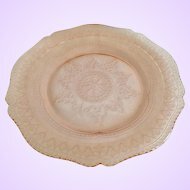 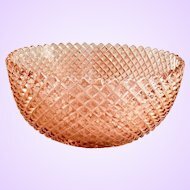 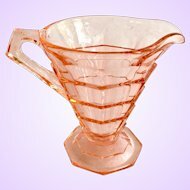 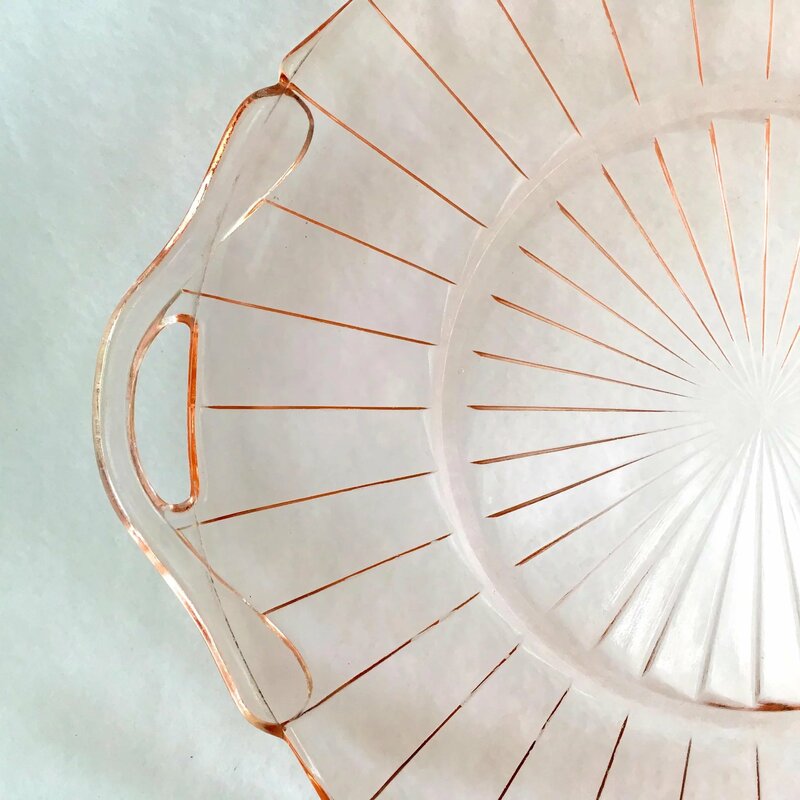 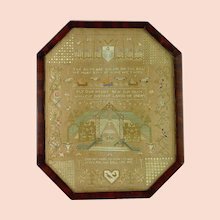 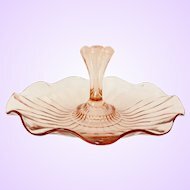 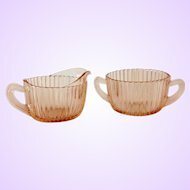 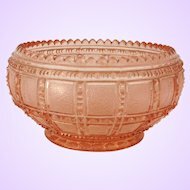 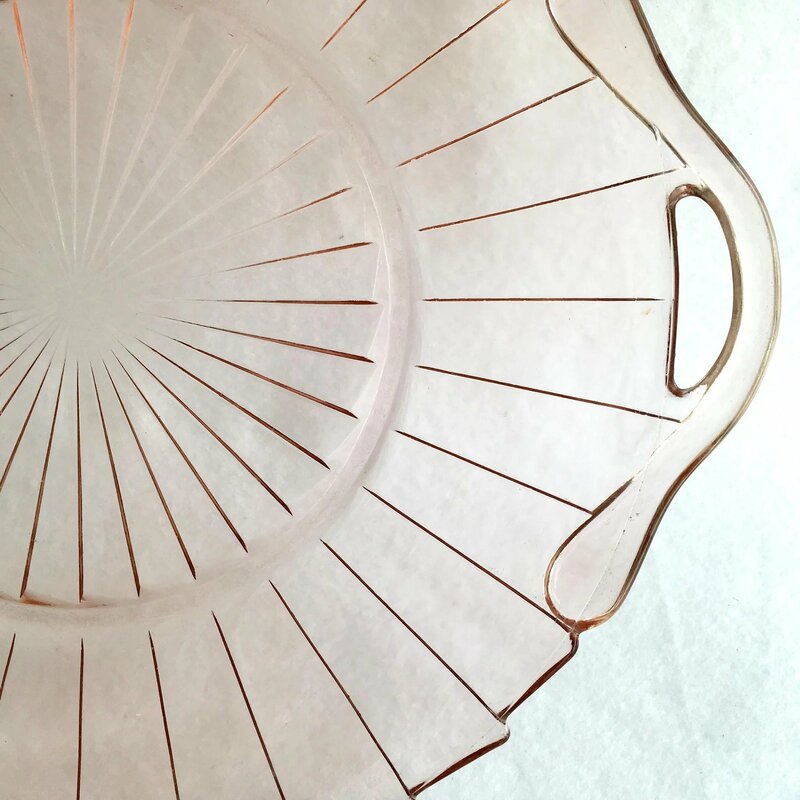 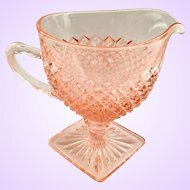 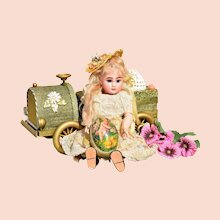 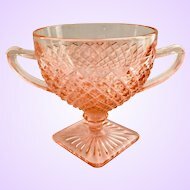 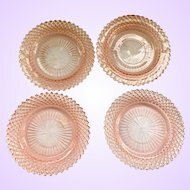 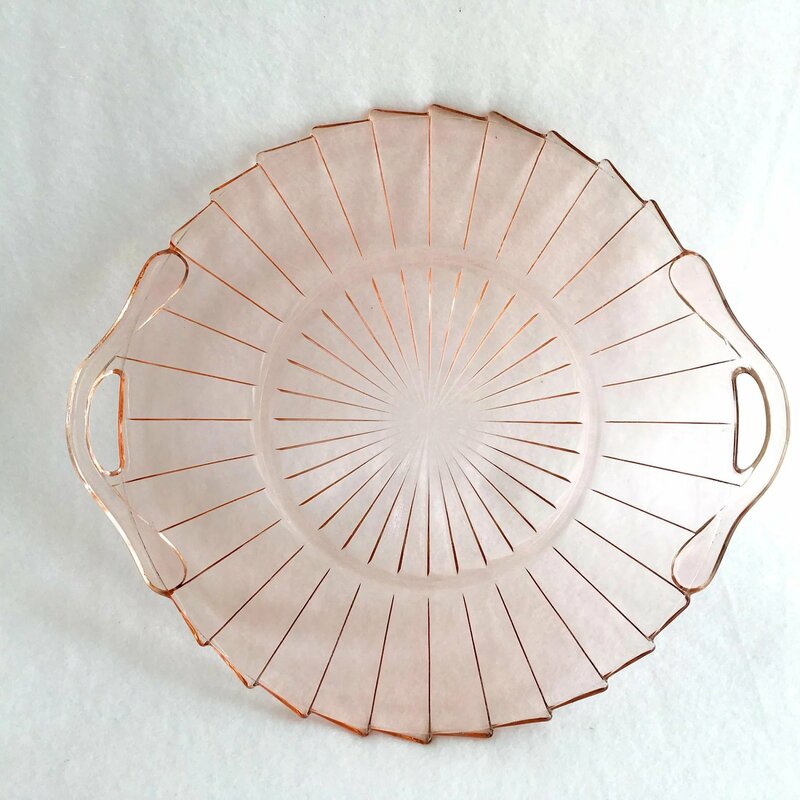 This Sierra "Pinwheel" depression glass pink two-handled serving tray	was made by the Jeannette Glass Company. 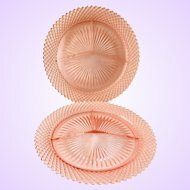 Sierra is known for its distinctive sawtooth edge on ribbed panels that end in the pinwheel design that resembles a circular saw blade from the top. 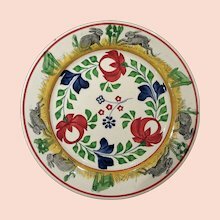 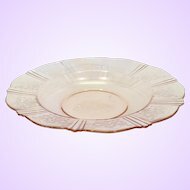 This platter has two open handles opposite each other. 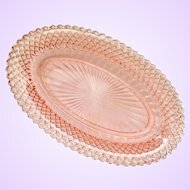 This	glass serving tray measures 10-1/4 inches in diameter, 11-3/4 inches across the handles. 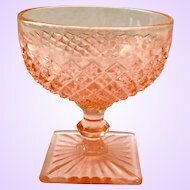 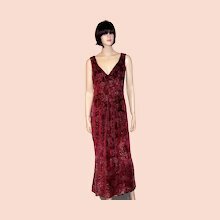 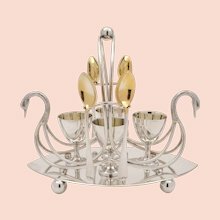 This pattern was made by Jeannette Glass from 1931 to 1933. 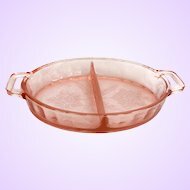 There is no mark. 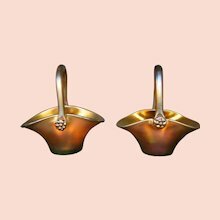 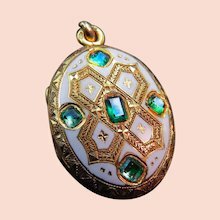 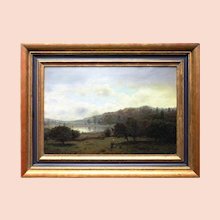 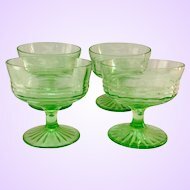 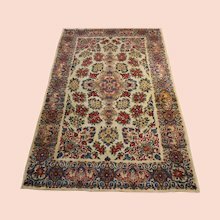 As is common in vintage glassware, there are expected surface scratches. 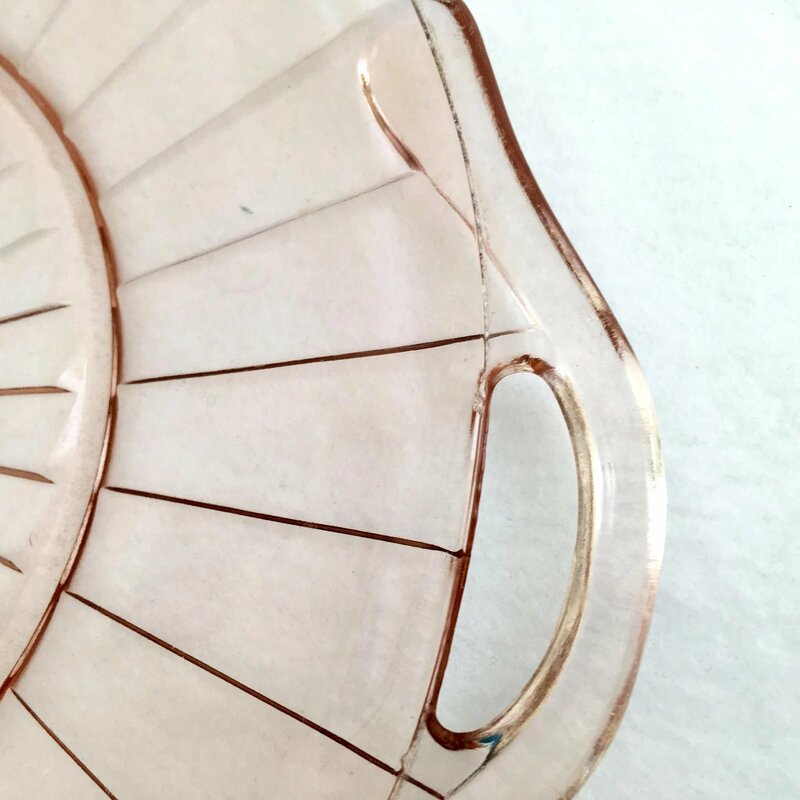 There is a 3mm shallow edge chip on the edge of the plate inside the handle and a ribbon of cloudiness along about 5-inches of the edge that is 1-1/4 inches at its widest. 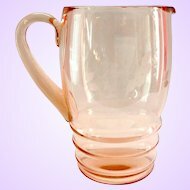 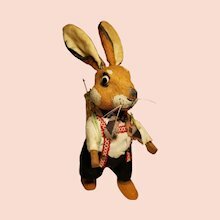 (See photo with brown background.) 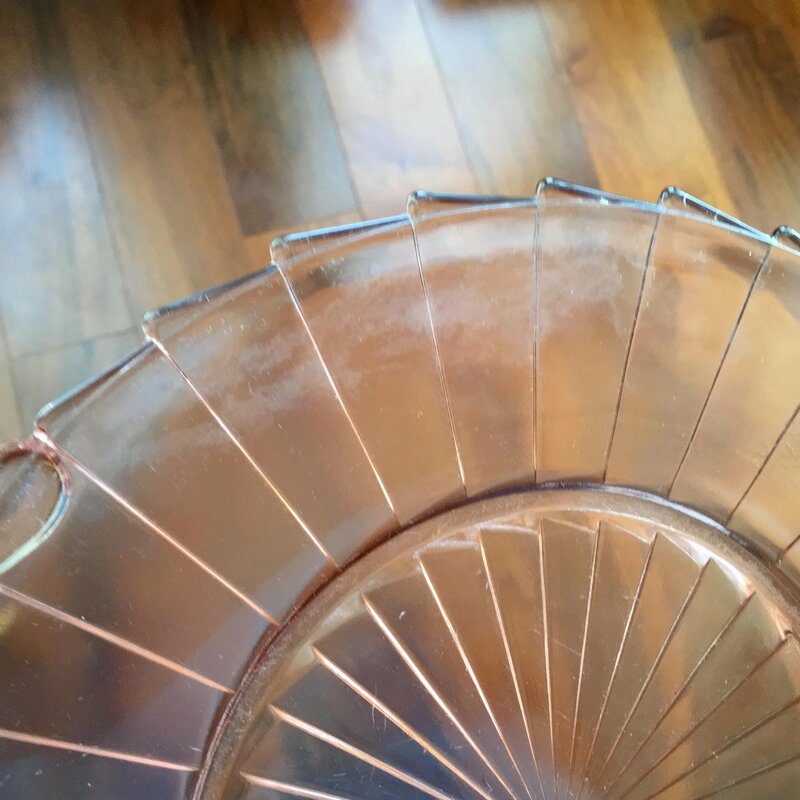 There is also a popped manufacturing bubble near the edge.